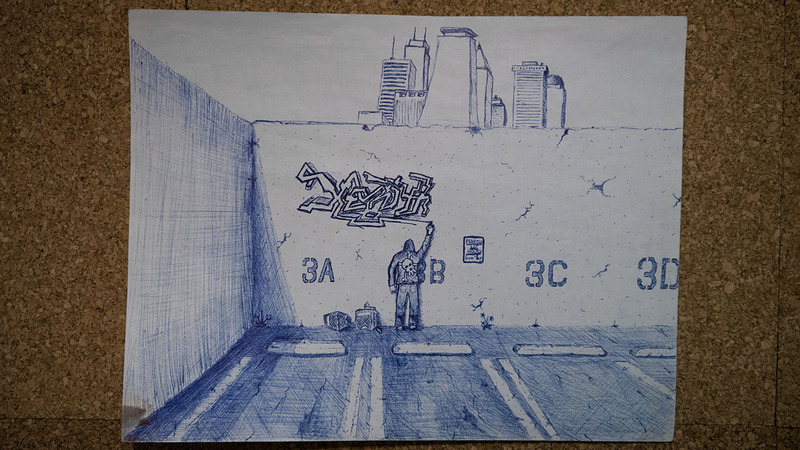 I once wanted to learn the art of graffiti and calligraphy. I decided to make Xenith my tag name. Xenith came from my gamer tag that I used when I played various video games. I realized that I wasn’t going to risk getting arrested for the art. So, I realized I was just my graffiti was never going to leave the drawing board. One day at work I decided to doodle the tag and then just started to add more and more to it.